been playing a bit at 32red lately they always proccess your cashout day after weekdays or weekends ive cashed out about $1500 from them last few days and then $900 from gowild , so yesterday i bought 2 new laptops for my kids so didnt gamble all back here are coupe of pics of the new games at 32red cant find the ones from gowild ? Congrats. How much times bet was the first screen shot? 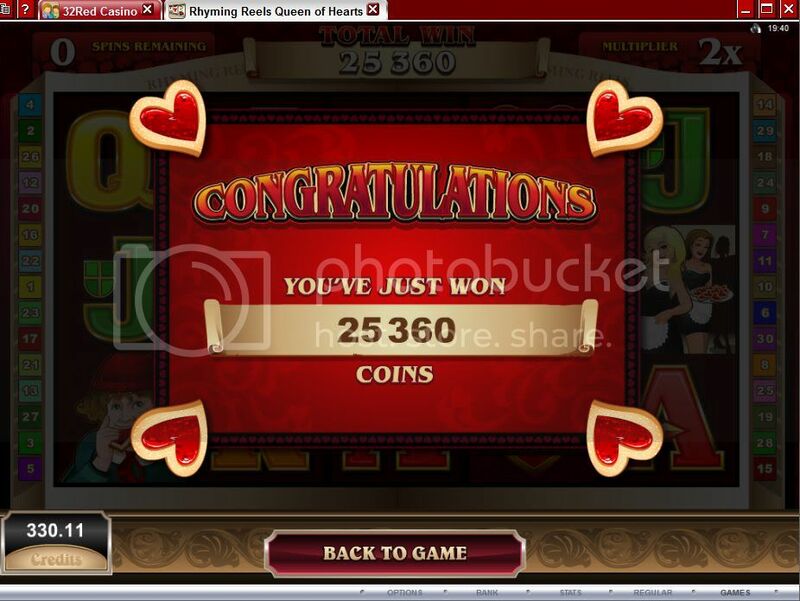 I played Rhyming Reels Queen of Hearts the other day, shame it was a clone of Deck the Halls. It took my free bonus down in a hurry. Pretty weak release this month from MG, Ruby of the Nile slot was the most boring slot I have played at MG.
WooooHooooo Very Nice Hits for you as well ega Congratulations and sounds like your kids came out winners as well!!! Way to Go!!! WTG ega...........fantstic hits!! Congratultions on your cash out!! I think it is VERY cool what you did with the money. I know that it must feel really good to be able to do that. 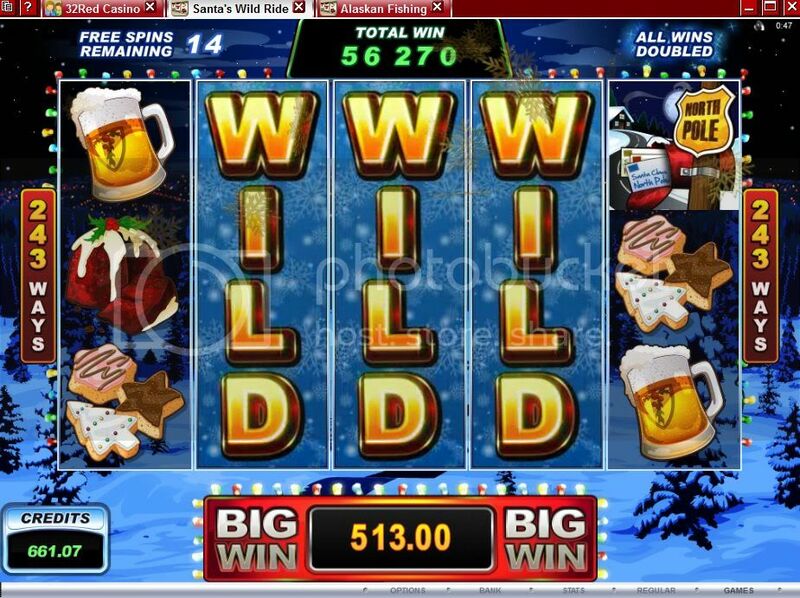 I always get 10x bet on santa's wild ride, only one time I got 500x on minimum bet on a bonus so no cashout that time. It annoys me to Broxi, 25 Bonus Spins that are always dead spins. Then from the very next base game spin it goes back to normal, has to be a different set of reels for Bonus Spins. I guess that's why every last spin on the feature is the same reel layout. I do like the base game on this slot, but it does seem for me that I only see big wins after about 350 spins in.